When I was barely nine weeks pregnant I completed a half marathon. I had been given the green light from my doctor, so I finished that race with my little bundle of joy inside me. That race is one of my favorite half marathons so I was actually really happy that I was able to complete it. And I still felt great afterwards so that was an added bonus. Immediately after the race was over (maybe about a week later) I signed up for the 2018 race knowing I would only be a few months postpartum. I figured it would be my motivation to get back into shape. Well now that I am officially cleared to run and workout, I have 14 weeks to get ready for the Carlsbad Half Marathon. Usually before I start my training for any race I set a goal. I like to write down what I want to accomplish just so that I can keep myself accountable. This time around I am having a hard time figuring out what my main goal will be. I have been eyeing a PR, but lets be honest I would probably cause more harm to my body if I push for that. It took nine months (technically10) to create my tiny little human being, so I imagine it will take that long for everything to fall back into place. I know there are some female runners that can just pick up where they left off but I am unfortunately not one of those. Last week was my first time running and I can say with all honesty that I ran faster while being pregnant. Yeah I didn't expect that but hey I am rolling with the punches. I figured I would be slow but not that slow. Take in mind though, I am now running with a stroller so that is something I have to get used to. Something else I have to get used to is being more flexible. There will be days when I know I won't be able to run or workout because the baby will require my attention. Also, I am still trying to figure out this whole nursing and running thing. I literally have to plan my days around my baby's naps and feedings. So knowing all of this, it makes it a bit hard to set a goal and create an adequate training plan. What I've decided is to go week by week and modify my training plan accordingly. For the most part I'll shoot for 3-4 weekly runs, but I am not going to be worried about time. I figure the time will start to go down further along. I'm thinking half way through my training I'll get an idea of what my pace will be for the race. I'll also incorporate at least 2-3 weight lifting days to get back the muscle I lost during pregnancy. In the past, weight lifting has helped me strengthen muscles pivotal in running and in turn helped me get faster (double bonus). Stamina is what I am most worried about this time around. Last week the most I was able run was three miles and I was huffing and puffing to finish that. I'm hopeful that each week my stamina will get better...fingers crossed. Lastly, I am hoping to find the time to blog about my first race postpartum. I am going to shoot for posting my weekly training workouts on either Sunday or Monday. So follow me along on my training for my first race postpartum! 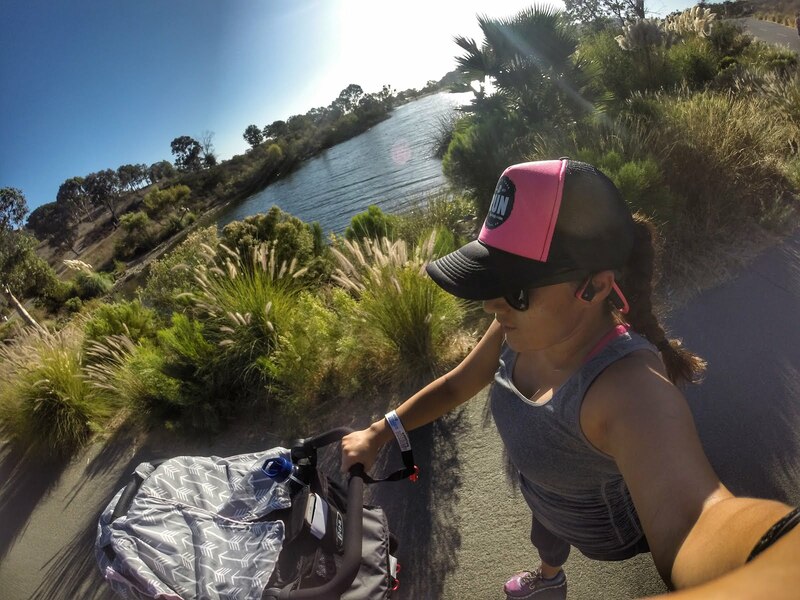 Any new moms out there training for their first race?